Since today is the last day of November I thought it would be the perfect time to reflect on what I’m thankful for. This year I had the opportunity to meet and engage with an entirely new group of talented authors on a daily basis. 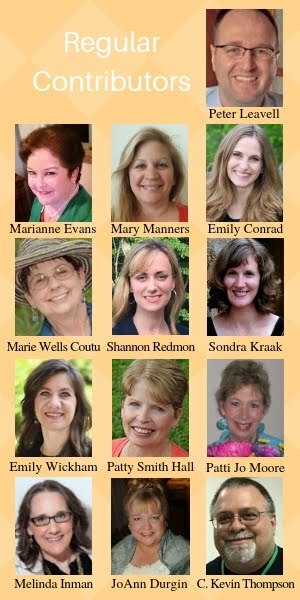 These women are such encouragers. I’ve enjoyed sharing every facet of the journey with them. I’m so thankful for the opportunity to get to know these sisters better. As I sit in my office counting the days until I can retire, I realize I’ve got a good job. It has provided for me well, I have a great group of co-workers, and for the most part I’ve enjoyed my time working there. Plus I can retire in nine months! 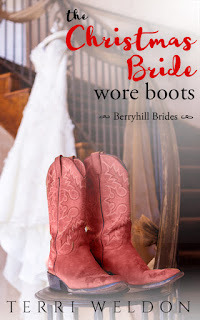 In April my novella, The Christmas Bride Wore Boots, won Best Novella in the 2016 Lyra Contest. I’m still thrilled! I had the opportunity to contribute to an anthology, The Matchmakers, with Jean C. Gordon and Lisa Belcastro. Writing A Match Made in Sheffield was such fun. The best part was working with Jean and Lisa! Seriously Write! Working with Annette, Angie, Dawn, and Sandy is a joy. These four women have such a strong faith. They are always willing to help out whenever and however they can. Plus, they’re always there to offer prayer when it is needed. I have two writing buds who are also two of my best friends. Notice a theme here? Authors are amazing people! 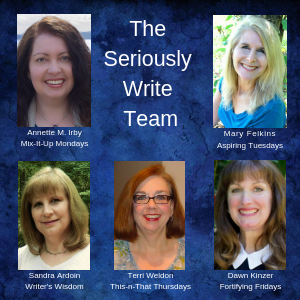 They encourage me in my writing journey, pray for me daily, and talk me off the ledge. They are so steadfast and talented. Their dedication to the craft drives me to do better and accomplish more. I’m thankful for my earthly sister. She means the world to me and encourages me in pursuing my writing. She truly believe in my abilities and in her mind my books are the best books ever written. She prays for me, encourages me, and harasses me when necessary (which is more often then I like to admit). And the number one thing I’m thankful for is the saving grace of Jesus Christ. The author and finisher of me and you. I pray you know Him as your savior. And if you don’t, I encourage you to find out more about Jesus. He loves you – more than you or I will ever understand. What about you? What things are you thankful for today? Pastor Jacob Thompson is in need of a director for the living nativity program and veterinarian Molly Kincaid offers to take on the job. 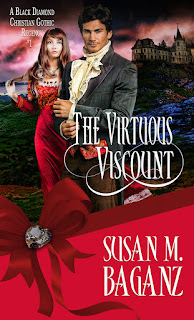 The task involves far more than Molly bargained for, nonetheless she’d do anything to help out the man she secretly loves – even sew costumes or cast eight-year-old Wesley Simpson as an angel. 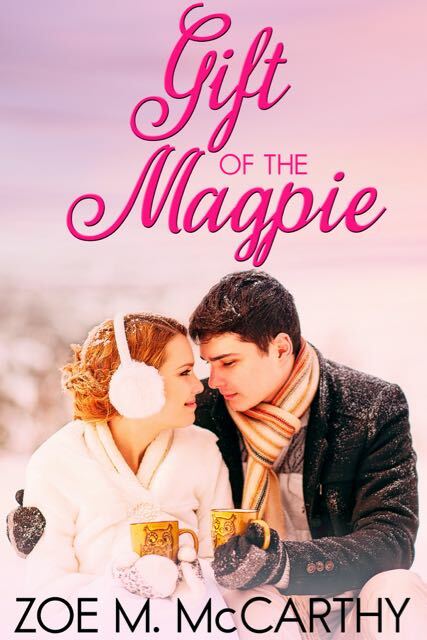 Jacob’s daughter Emma longs to have a mommy of her own, but the widowed pastor has vowed to never remarry, and isn’t ready to open his heart to love again. 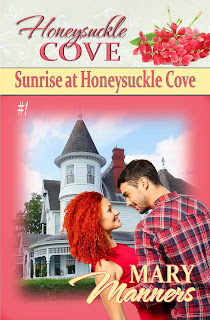 Molly dreams of filling the void in both their lives, but fears she lacks the necessary qualities to be a pastor’s wife. 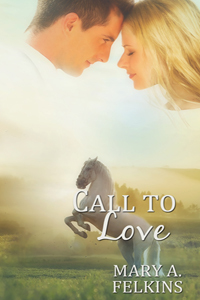 As Molly and Jacob work together on the living nativity, their feelings for one another grow. Will Molly realize she is just what Jacob and Emma need in their lives? Can Jacob be released from his grief stricken promise? Could this unlikely duo prove to be a match made in heaven? How does a writer find the stamina and/or the discipline to write over the holidays? That’s a tricky question. Family flying in, dinners to prepare for, Christmas shopping, wrapping presents, grandkids, kids, kids-kids-kids, etc., things can get quite harried! So what do I do, as a writer, with a deadline barreling down on me? 2. I scream. Maybe internally, but it’s there. That long, silent scream of abject frustration that I can’t have just five minutes to think without someone talking! Introvert or extravert, the fact of the matter is, we all want a few minutes to gather our thoughts. The holidays are not friends with silence. 3. I drink. Lots of drinking. Coffee, mind you, COFFEE! I find comfort in sucking down gallons of free-trade, fresh ground coffee and sometimes pouring in egg nog for good measure. If that doesn’t soothe your soul, substitute tea with coffee, or cocoa, or anything that leaves you sober and restores your sanity. 4. I chill out. Yep. After points 1, 2, and 3, I usually step back and realize this antagonizing stress is so not worth it. Yes, I have a book due in 12 weeks. Yes, I’ve only written 5,000 words and am not sure what my heroine’s purpose in the book is, but let’s be real: it will get written. Sure, it may mean I need to stay up an extra hour or two past everyone else’s bedtimes (enter moment of silence!). Of course, I may have to bow out of that one fun afternoon coffee with friends I haven’t seen since last week Sunday at church. True, I may be writing in a roomful of people who are perfectly content to have my presence if not my interaction. But in the end, I need to rest. So. Rest. Look for ways to sneak in word count, but be forgiving of yourself. And, this year, I’m staring at an empty chair my Gramma used to occupy and I’m so thankful I didn’t sacrifice time over the holidays past to stress and fret over word count, but instead, enjoyed my time with her. That, I cannot get back. I can make up word count another time, another day. God will be gracious as we devote our time to Him in this moment, for this minute. What helps you get through the holidays while meeting your word count goals? I looked around my office and sighed. What a mess. Books stacked knee-high, papers separated in every vacant spot on the desk. My to-do list had been shoved from the refrigerator door to the living room to the bedroom … ending up in my office. Moving it didn’t seem to make it go away. I used to love the holidays. Thanksgiving brought laughter and fun. Having tons of food and family was something I looked forward to. It seemed years ago when life was much simpler. My office wasn’t overrun with work, and the most the news had was the anticipation of the newest Macy’s Day parade floats. Now the holidays are dampened by disaster and sadness. I kicked a box out of the way and made a split-second decision. I’m going to praise God despite the mess. I realized the world was doing to me just what Satan wanted it to do – drag me down. If it could blare the horrors of the news events at me, overwork me, AND make me miss my children worse than I normally do, then I was caving in to the sadness of sin. Satan was winning. The writer of the Psalms must have realized this same thing. Chosen by God as the future king of Israel, David was just a child. God didn’t crown him and set him on the throne. Instead, he was sent back into the fields. There he learned about the hardships of life. Danger. Trust. And complete dependence upon God. There David found peace in praising God despite the trials. These last few days I’ve spent the hard moments saying, “Rejoice in the Lord always.” And as I prepare for Christmas, I’ve decided to come before Him with thanksgiving and praise. True thanksgiving and praise. 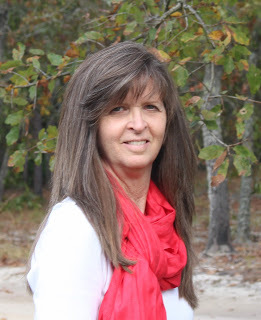 Cindy Sproles is an author and speaker. 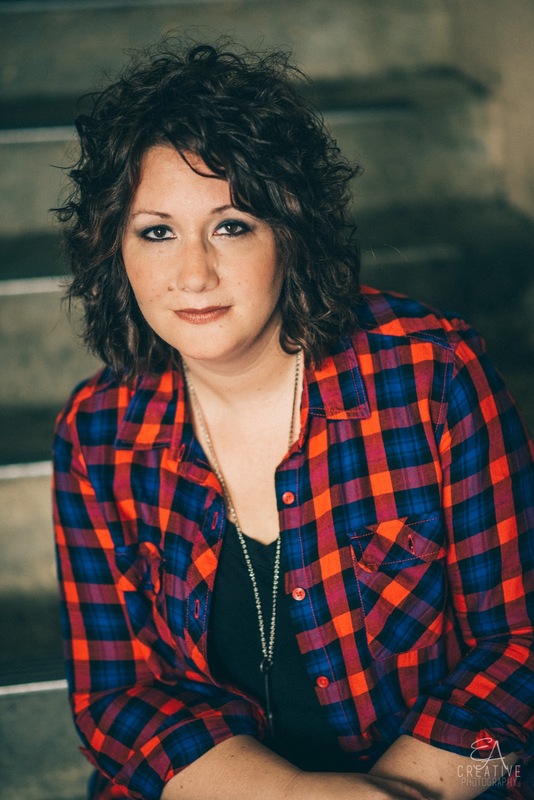 She is the cofounder of Christian Devotions Ministries and the cowriter of the popular He Said, She Said Devotions written with her cofounder, Eddie Jones. She is a novelist and best-selling author. 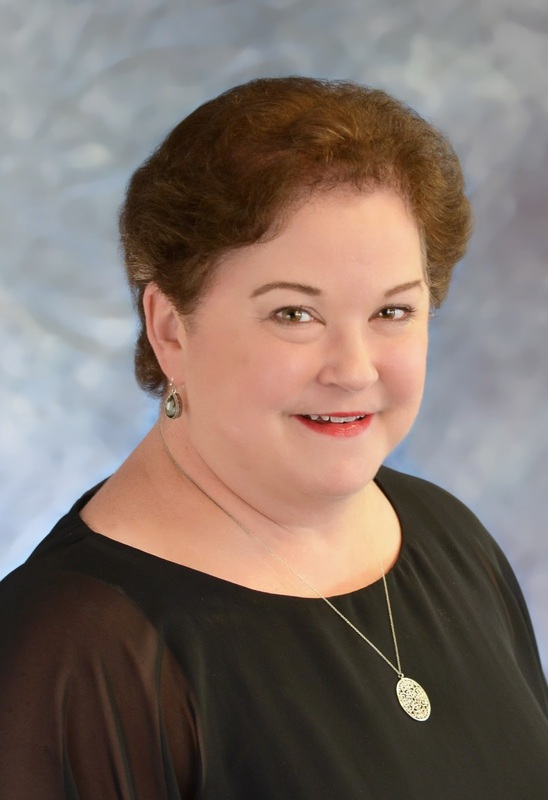 Cindy’s devotions and articles are published in Christian newspapers across the eastern seaboard, including having been used to represent legislature for protection of the elderly. She is a speaker to women’s conferences addressing not only the heart of women, but also their biblical responsibilities to their families. She is the mother of four adult sons and lives in the mountains of East Tennessee with her husband. Cindy can be contacted at www.cindysproles.com or by emailing cindyksproles@gmail.com. Originally posted on He Said, She Said, November, 2015. 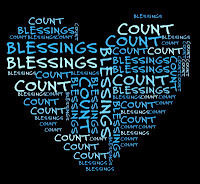 Sometimes I’m so caught up in the day-to-day bustle of life that I forget to thank God for how very blessed I am. The holiday season is a time to reflect…and hopefully take a moment to slow down long enough to draw a breath, step back, and count the many blessings that fill my life. I’m thankful for a loving husband—a man with whom a share a real-life romance filled with love and laughter, adventure and fun (I tell my husband he’s cheap entertainment). Tim supports and encourages my passion for sharing the written word with others. He understands that my love of writing is more than a job…it is a ministry. I’m so thankful God brought him into my life. I’m thankful for my daughter, Danni, who has grown into a beautiful young woman. Danni illuminates my life with her loving, generous spirit. She’s friend to everyone, and has a special place in her heart for the elderly, children, and the hurting. As she ages, I realize with a greater and deeper understanding just how much she is truly a blessing to me. My friends, especially my precious writing friends, are a reason to give thanks. These wonderful people completely understand when I mention the ‘voices’ that speak to me while I’m writing. They don’t mind if I, from time to time, pause from my daily activities to jot down an idea for future reference. I love them dearly. But, most of all, I am thankful for my Lord and Savior, who has given all of this and more to me. What an amazing blessing to know His love and grace are never-ending. Even in times of trial, I know that He is working in me to provide for greater things. Thus, I embrace hardships and disappointments as an opportunity to deepen my faith and to grow spiritually. I know that when it is all said and done, He will never give me more than I can handle. So, as this holiday season stretches before us, I wish you blessings and peace, dear friends. 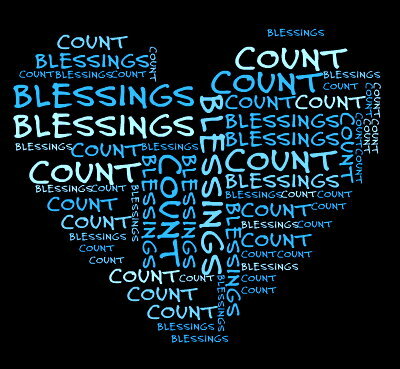 May you take a moment to draw a breath, step back, and count the many blessings that fill your life. I know about the coin. The image Jesus used to help his disciples understand a concept of image and ownership. What is Caesar’s? Hand it over. What is God’s? Hand it over, too. The difference? Caesar asks for a percentage. God asks for it all. Caesar loves conditionally (Just stop paying your percentage, and you’ll see). God loves unconditionally (When we stop giving our all, He loves us anyway). So, there I was, sitting in the waiting room. Refocusing. Trying to find myself again. Then it hit me. Just make sure you leave them something that points them back to your Father. It won’t be scripture, but it needs to be scriptural. When you do that without losing your focus, then you will be about as close to the image of God as you can get. This won’t be for everybody, for not everyone is a writer. Some people are mathematicians and scientists, and they will make God wondrous with their computations and discoveries. Some people are philosophers and theologians, and they will cause others to seek Him with their reason and sound minds. Some are plumbers, carpenters, and bookkeepers, and they will glorify God in their work, too, showing His handiwork in everything they build and tend. Some make music and help others’ hearts soar to His throne room. But, you’re a writer, Kevin. This is your function within the body of Christ. Your gift from God. Your talent. So, for today…and every day hereafter, help me, Father, live in Your image. The image You crafted for me before time began. The image I so easily get confused with earthly things. When I stray, pull me back to the waiting room of life until I am refocused. And when I am, may my words help others ultimately find Your unconditional love so that You may embrace them for all eternity. And thank You for the good report from the doctor, Lord. We’re trusting You for even more. His Blake Meyer Thriller series is out! Book 1, 30 Days Hath Revenge, is now available! 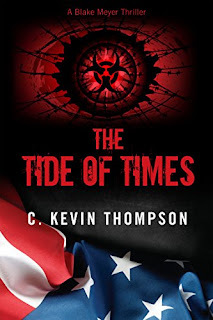 Book 2, Triple Time, is also available! Book 3, The Tide of Times, just released! Also, the second edition of his award-winning debut novel, The Serpent’s Grasp, is now available! Most authors are so grateful for a book contract that they’ll do anything to please their editor. It can be a challenge when the editor doesn’t agree with something in a manuscript. What hills does an author defend or surrender on? How can you do that diplomatically when most communications are done via the tracking changes in a document file? I’ve seen both extremes. Some authors are afraid to ask questions, even when they have a right to and should. Others make demands and badger the publisher with two-year-old temper tantrums. Those we call divas. They are not fun to work with. They believe themselves to be experts and delight in pointing out editor errors forgetting one key reality: we are all flawed human beings. No one is an expert in this field. I’m learning new things all the time. 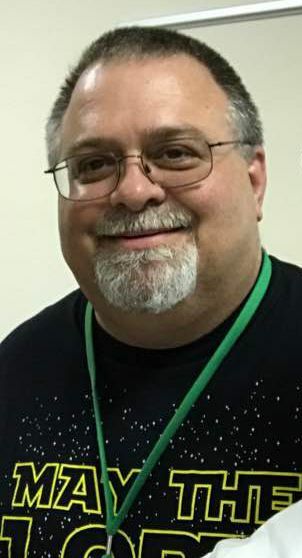 I’ve been treated with grace by some authors who have, in spite of distance, become friends and I’ve had others that I dread working on their books, even though they are well-written, simply because of the “attitude” I get from them in their communications. When I first started I had one author who was a bit abrupt with her emails and I told my boss that I didn’t think she liked me. I joked that it must be because she didn’t tell me how awesome I was. Because I work for a smaller publishing house. I get paid based on the sales of every book I edit. That means my time is initially uncompensated for and I am motivated to do my best because the author’s sales impact my eventual income. knowing it can impact lives. 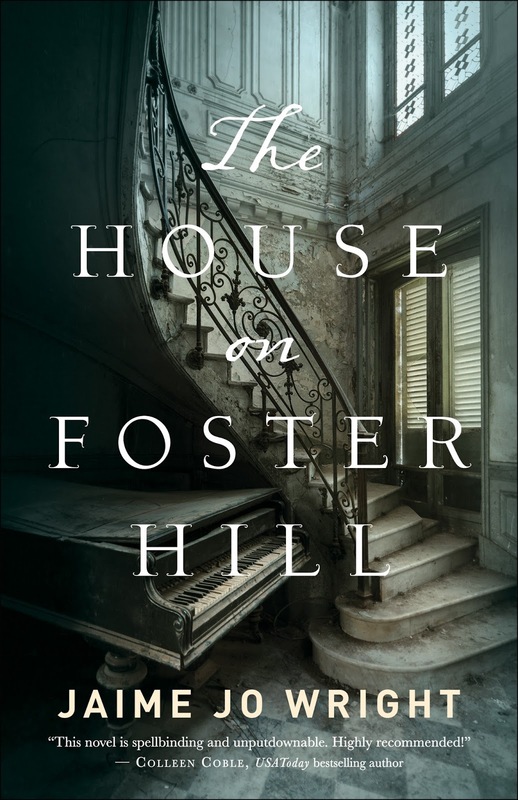 When even an entertaining, well-written story is accompanied by a diva attitude—I’d gladly forgo great sales to avoid working with that author again if I had the opportunity. So, what can an author do? Be respectful and honest. Remember that your editor has a life. I’m an outside contractor and I’m not obligated to get your book done by your schedule. I have a family and face challenges that I need to deal with just like every other human being. I also have my own process for how I work and I try to honor that because it gives me the best results. If I’m forced to rush or shortchange that process you might find more errors in your work. Editors are humans too, and it’s a small industry. Try to stay on your editor and publisher’s good side because in the long run, you’ll benefit, and we’ll all enjoy the process so much more. Do you have questions for Susan that will help you better understand an editor's job? Susan M. Baganz chases after three Hobbits and is a native of Wisconsin. 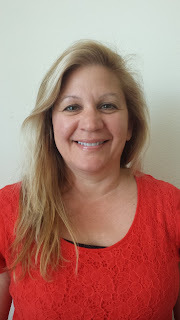 She is an Editor with Pelican Book Group’s imprint: Prism Book Group, specializing in bringing great romance novels and novellas to publication. 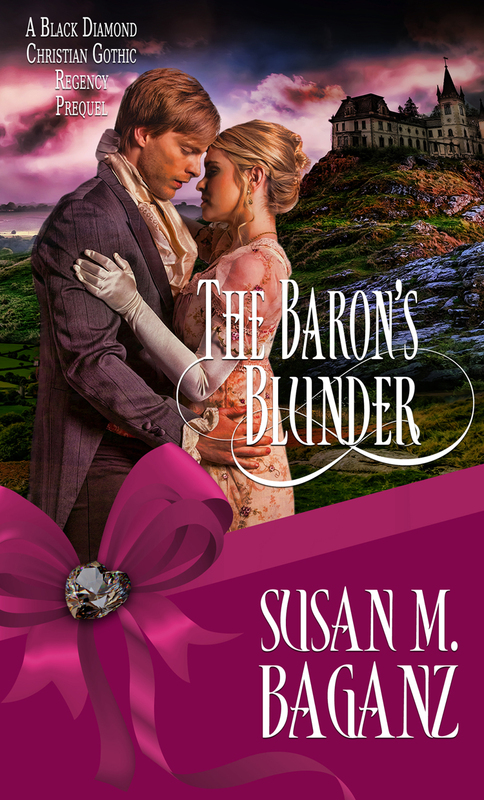 Susan writes adventurous historical and contemporary romances with a biblical world-view. Lord Marcus Remington has decided it is time to find a wife. 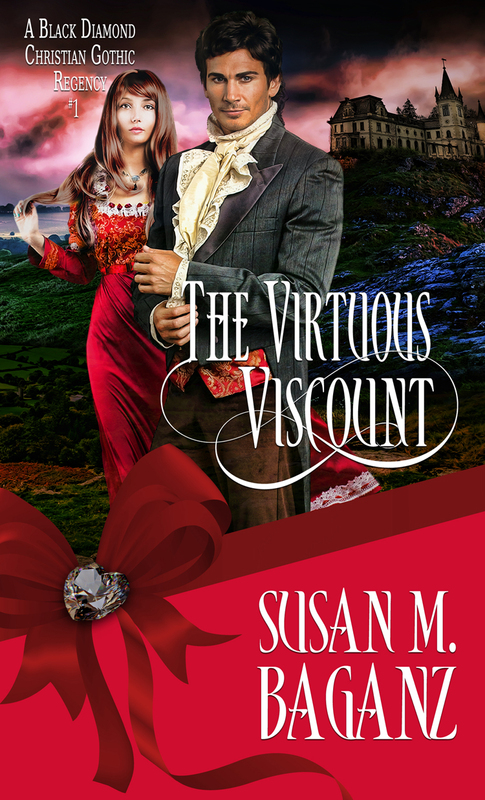 He didn't expect her to be in the wreckage of a carriage in the middle of a spring storm, but rescuing Miss Josephine Storm challenges his heart and very character of the man known as the Virtuous Viscount. But when the injured young woman weighs heavy on the viscount's mind, convention goes out the window. As Miss Josephine Storm recovers her physical health, her heart is in even more danger. When The Black Diamond's plot to take over Britain puts Marcus and his friends in the criminal's cross-hairs, Josie's life is threatened. 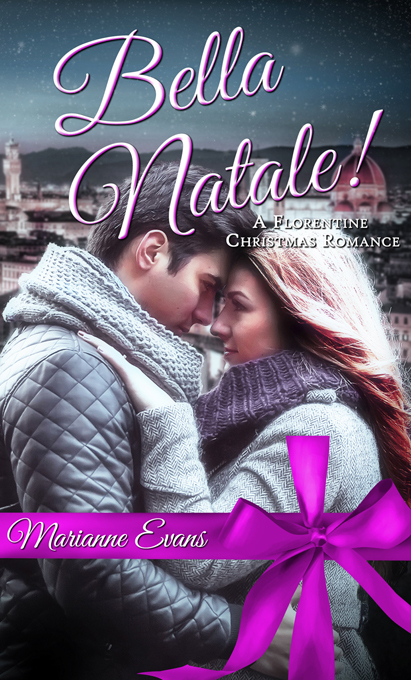 Marcus must chance losing her good favor and risk his virtuous reputation in order to save her life. Can Josie believe in the man she thought she knew when the facts say otherwise? Sunday, I prayed and hoped for a good writing day on Monday. My deadline is fast approaching, and I needed uninterrupted writing time. That night, the electricity went out. I prayed and hoped it would return before my good writing day started. It didn’t. Disappointed, I told John I would drive to Independence to work in their library. Hopefully, I could get much done on my story there. I packed my laptop and notes and drove to Independence. As I entered the small town, the first traffic light wasn’t working. My shoulders slumped. I’d have to drive on to Galax to find electricity. At the Independence shopping center, the traffic light worked! I turned into the Food City parking lot. The store’s lights were beaming. A young woman sat on the ground, leaning against the grocery store wall. I buzzed down my window and asked her if the lights had just come on at Food City. She said the store ran on a generator. Independence had no electricity. I said I would drive on to Galax. She asked if she could catch a ride. This sweet young woman was on disability because she has a hard time coping. She was so medicated that sometimes I couldn’t understand her. When she said that people were blessed to live in such a beautiful area here, I took that opening. I said she sounded like she knew the Lord. She admitted she was not where she wanted to be with God. She said she didn’t read the Bible like she should, but she didn’t understand the Bible. I told her I had been where she was and had written two books of contemporary Christian short stories to explain to myself what I read in the Bible. At that point, God took over and I gave her my testimony, something I rarely do. When I dropped her off, I gave her copies of my books of Christian short stories, one of my romances, my business card, and a hug. Then I called John, and he said the lights were on. So, I turned around and drove home. I think the Lord wanted me to recognize that He has better plans than my plans. I wouldn’t have gone to Independence if we’d had electricity. I wouldn’t have driven through town to Galax if the stoplight had been working. I wouldn’t have turned into the Food City lot if the stoplight there had been dead. I wouldn’t have spoken to the young woman if I hadn’t wanted to make sure the lights were back on. I wouldn’t have normally witnessed to anyone. And I never carry my books of Christian short stories in my car. Never. But I had them that day. God is an awesome orchestrator for His glory and purposes. A full-time writer and speaker, Zoe M. McCarthy, author of Gift of the Magpie and Calculated Risk, writes contemporary Christian romances involving tenderness and humor. Believing that opposites distract, Zoe creates heroes and heroines who learn to embrace their differences. 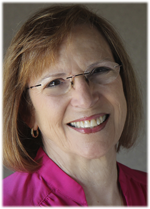 When she’s not writing, Zoe enjoys her five grandchildren, teaching Bible studies, leading workshops on writing, knitting and crocheting shawls for a prayer shawl ministry, gardening, and canoeing. She lives with her husband in the Blue Ridge Mountains of Virginia. Zoe blogs regularly at www.zoemmccarthy.com. Amanda Larrowe’s lack of trust sabotages her relationships. The English teacher and award-winning author of middle-grade adventure books for boys has shut off communication with friends and family to meet her January 2 book deadline. Now, in the deepest snow accumulation Richmond, Virginia has experienced in years, Camden Lancaster moves in across the street. After ten years, her heart still smarts from the humiliating aftermath of their perfect high school Valentine’s Day date. He may have transformed into a handsome, amiable man, but his likeability doesn’t instill trust in Amanda’s heart. 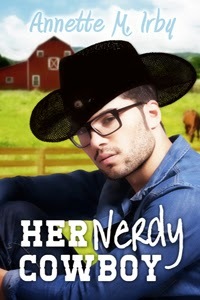 When Cam doesn’t recognize her on their first two encounters, she thinks it’s safe to be his fair-weather neighbor. Boy, is she wrong. For more Seriously Write posts by Zoe M. McCarthy, click here. It’s nearing the end of November. 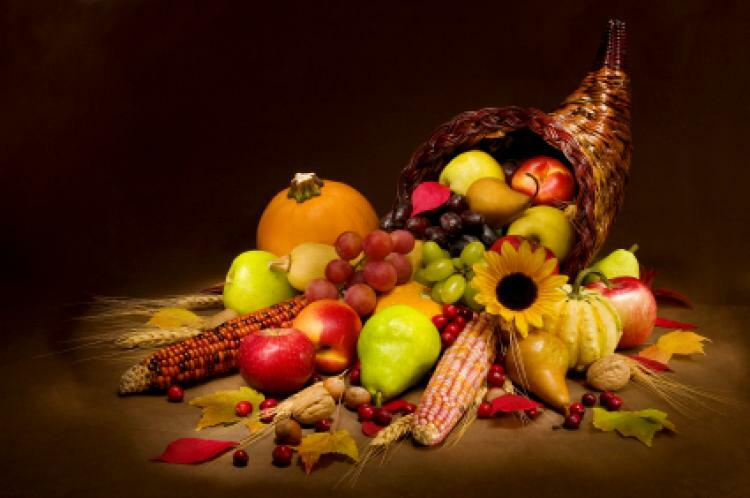 As I write this blog post, we’re just days away from the celebration of Thanksgiving. 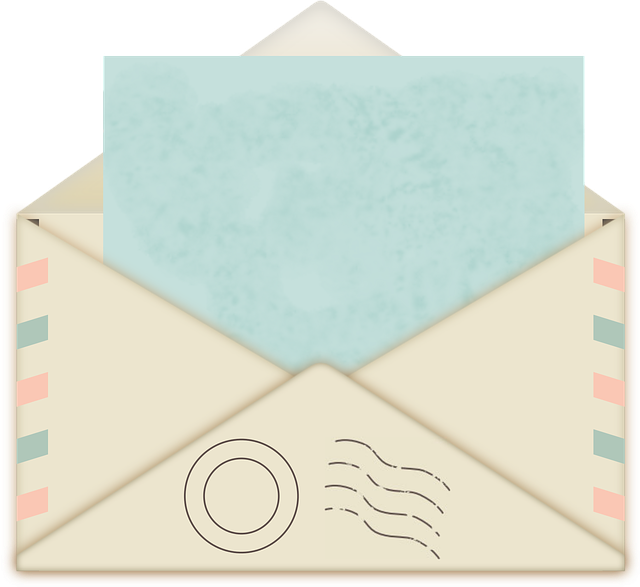 Family gatherings are being planned; mom’s on her way in for a visit; packages are arriving almost daily now and shopping excursions are in the works as I begin the process of finding the perfect Christmas presents. I can feel it coming, friends—and maybe you’re in the same boat. 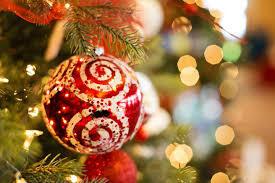 The holidays are on fast approach with fun to be had, and precious memories to be made, but there are stresses as well. For example, that seemingly endless ‘to do’ list in need of attention, the book that’s burning to be written, a hectic work schedule in the 9 to 5 world, friends and family connections to savor. When commitments and time-crunches come about, what can be done to keep our Spiritual lamps from going dry? I’ll admit, I have no easy answers. Finding center, and peace, during such a busy season of the year never fails to challenge me. I tend to be the one who runs and runs until, suddenly, the needle hits ‘empty.’ On our way home from church this morning, I said to my husband I really want to find quiet time during the holidays to simply absorb. To consider the benefits of my life during the past year and the myriad ways God has performed His loving strokes against my soul. And therein is the key. No matter how crazy things get in life, I need to remember to bring gratitude to all that I do, and experience. Another important thing I strive to do is create guilt-free down time wherein I might simply spend an hour enjoying my decked-out home and tree, or crafting magic within the pages of my WIP, or enjoying a classic movie or Hallmark Channel offering. Most especially, when day is done, and I read my devotionals before dropping off to sleep, I need to remember to pray over the blessings and challenges of the past 365 days. Christmas, and the oncoming New Year are a perfect opportunity to do just that, no matter how fast we run, right? 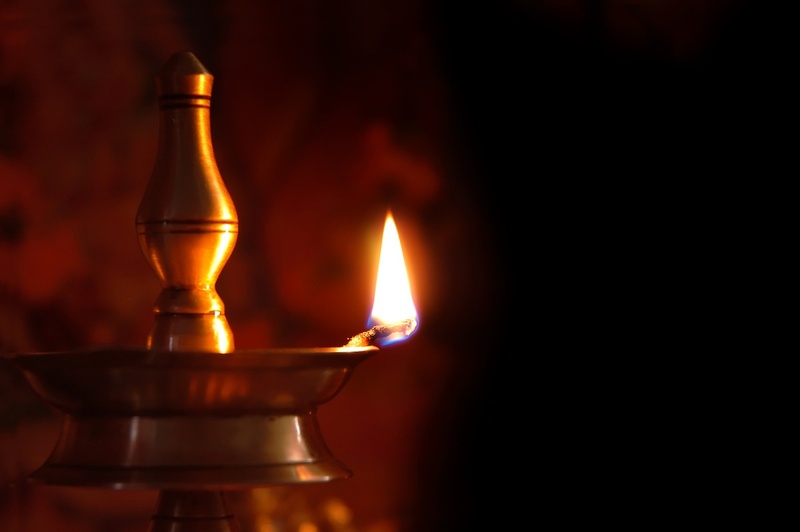 And, those practices must might help re-fill our inner lamps with God’s Spirit of love and compassion and gratitude. Blessings on your journey, friends! When I became pregnant the second time, I did everything right. No cheeseburgers with extra pickles, no sitting around waiting. I ate my veggies and did my exercises. The first due date was February 14. Later, the doctor changed it to February 22. That didn’t happen either. My son refused to play along. March rolled around and they induced labor. After hours of pangs and an unexpected cesarean section, 9 pounds and 6 ounces of screaming flesh emerged, and we understood why I had failed to deliver my child. Ouch! I tell you that story because every birth isn’t the same. Some moms do not carry a babe as long as others. 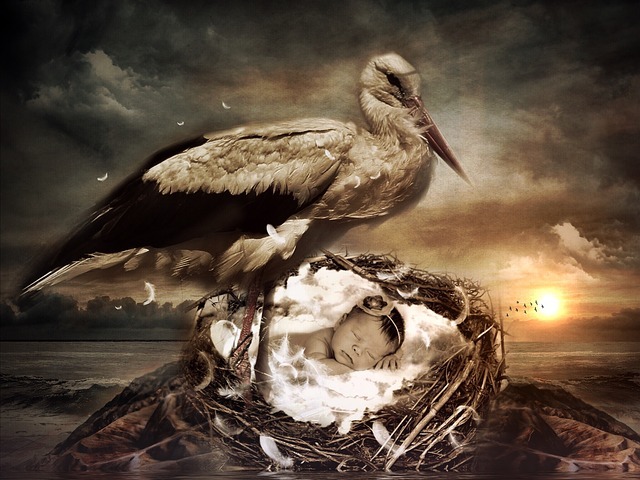 Some deliver mere weeks after conception and others after hours—sometimes days of excruciating labor. Some women seem to blink and the baby appears, while others, like myself, need help. It’s the same with writing. Some conceive an idea, and within months they’ve produced a robust bouncing story. Others conceive and labor—maybe years—before presenting their little bundle of joy to the world. This journey is unique. Certain steps may be easy for one, while excruciatingly difficult for another. This year has been an I-didn’t-see-that-one-coming year. Obstacles and detours kept popping up along the way. You know what I’m talking about. Life happens and we must learn to roll with the punches. Easier said than done, I know. But once labor begins, it doesn’t stop. If we keep pushing, eventually, we will give birth to our dream. A wise friend recently reminded me, “God’s timing is perfect.” I agree. Just as in childbearing, our WIP has a birthday too. God knows the perfect time to unfold it. So whatever pangs you are feeling at this moment, let me encourage you. Today’s birthing pangs will become tomorrow’s joyous cries of victory. Keep pushing! With what part of the writing process do you struggle? Gail Johnson enjoys sharing her passion for life and Christ through the power of the written word. Whether it’s through stories, articles, or songs, she invites her reader and listener to “taste and see” the hope she has found in a faithful God and loving Savior. Born and raised in Georgia, she is a wife and mother of two adult children. She enjoys lots of family time, good music, maple pecan ice cream, and southern living. One fall morning in 2011, I was writing at my desk and glanced out the window to see a UPS truck pulling up in front of my house. At the sight of that familiar brown truck, my heart began to race and my palms grew moist. I knew it was delivering fifty hot-off-the-press copies of my debut novel. A few months prior, I’d been over-the-moon excited to learn an independent press would publish my book. Editing and developing marketing plans had kept me too busy to consider any downside of the process. But with the arrival of the books, reality—like an early morning alarm—jolted me from my blissful state. That wake-up call told me I’d wandered far afoul of my comfort zone. I’d put myself out there. Regardless of countess edits and re-writes, I’d exposed my shortcomings, inadequacies, and goofs to colleagues and fellow writers and (shudder) heartless reviewers. As I went about my routine tasks over the next few days, prayers for inner peace warded off full-blown panic attacks and reminded me that in the grand scheme of things my paltry book was fairly inconsequential. But still, the angst continued. Then one morning, as I was making up my bed and fighting back niggling fears, those prayers also led me to a most unusual source of comfort. And so, from the grave and across four centuries, the poet spoke and calmed me. She whispered to my roiling mind I wasn’t the first author—nor would I be the last—to wrestle with insecurities. She revealed that regardless of intelligence or talent or status, every writer takes a risk the minute she allows someone to read her work. I realized, unlike Anne’s, my own “offspring” probably wouldn't survive for four centuries. But I also acknowledged an affection for my little ragamuffin that had grown from an embryonic idea to a fully formed book. If only a few friends and relatives read it, I was proud that I’d accomplished a personal goal and pushed myself to take a risk. Proud that I had a story to tell and had told it to the best of my ability. With my mind more at rest, the words from another woman long buried came to me, encouraging me and buoying my spirits. Long before the movie about her came out, I’d learned of Florence Foster Jenkins’ response to her critics. Borrowing from and slightly amending the words, I took Jenkins’ sentiments as my own, and I encourage all writers to use them as a rallying cry when self-doubts or fears of rejection threaten to steal their joy and passion for writing: Some may say I cannot [write]; but no one can say I didn’t. Angry loner Gracene has just stepped out of the prison gates, and already she's planning another con job: she's moving to Transformation Place. The apartment complex offers free rent and a ministry for ex-offenders. But there's a catch. The apartments and the program are for Christians, something Gracene knows she can never be. 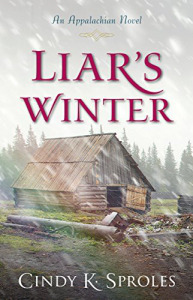 A dark secret has convinced her she is beyond forgiveness. Faking her faith works for a while. She finds a good job with an understanding boss, and for the first time in her twenty-eight years, she has true friends. Even romance seems a possibility. At long last her life is headed in the right direction. But when a creeper from the past slithers back into her life, can Gracene's pretend faith save her from a U-turn? Dee Dee Chumley has received numerous awards for her short stories, essays, and poems. In 2012 her debut novel Beyond the Farthest Star won Best Juvenile Book from the Oklahoma Writers’ Federation, Inc., and in 2017 she was a finalist in Southern Writers Magazine Short Story Contest and published in their anthology of Best Short Stories of 2017. Her most recent work, Some Form of Grace, is available on Amazon. 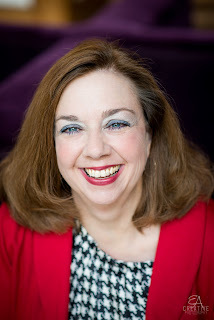 She blogs about focusing on everyday grace at www.deedeechumley.com and would love for you to friend her on Facebook or Twitter @dee_chumley. 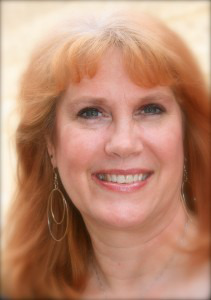 She is a member of OWFI and Oklahoma Christian Fiction Writers.